DesignbyMany’s latest architectural/design challenge is for New Orleans, LA. 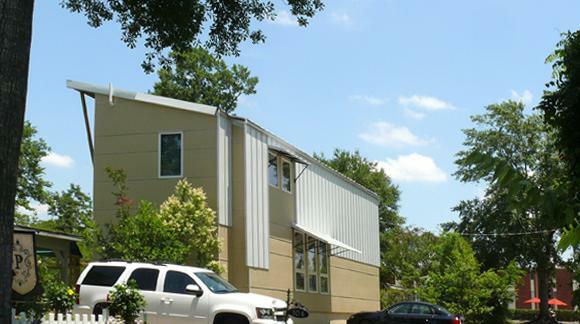 It is to meet the demand for passive houses for New Orleans, thus entitled so, and must meet the current building codes of New Orleans and the building energy standards called the Passive House Standards. These buildings are to continue the re-building efforts for the city after the devastating effects of Hurricane Katrina in August 2005. DesignbyMany has strict regulations such as the context of where in New Orleans these structures will be built, design program elements such as the site size of 40’x104’ and building requirements such as ‘shot-gun’ style homes. Shot-gun homes are native to southern areas in the United States and received this name because of the ability to pass through the building in one straight shot from entrance to exit. This competition is sponsored by HP and the winner will receive a nearly $10,000 HP Designjet T2300 PostScript eMFP printer and be featured on DesignReform for the opening day’s cover of the AIA National Convention which is being held in New Orleans starting May 12, 2011. DesignbyMany’s Passive House for New Orleans is similar to other projects that are occurring throughout the area, such as Brad Pitt’s ‘Make it Right Foundation’ that is dedicated to working with the public and with the firm John C. Williams Architects to offer and design affordable, sustainable homes to those in need in New Orleans, also the continued exhibit at the Louisiana State Museum to show New Orleans as it progresses from its destruction to a sustainable, renewed city. One step at a time, a city that experienced tremendous devastation, with the efforts of many is being re-built and re-designed to be a better place, a more sustainable environment to those that call it home. 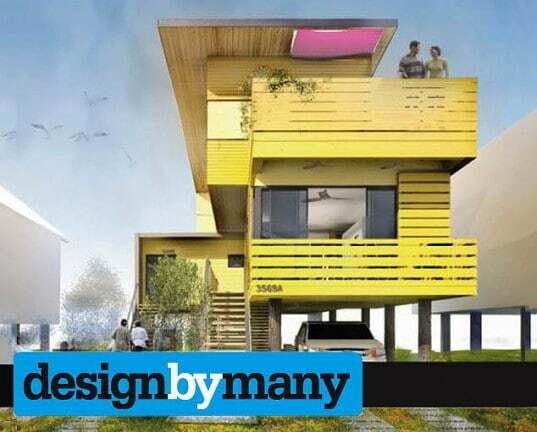 Contests like DesignbyMany’s newest Passive House for New Orleans and the determined attempts of many people are making New Orleans work towards being a new, better city.